Odessa, Texas is a place for families to call home. This delightful West Texas city is the county seat of Ector County, and is located above the world-famous Permian Basin (a large reservoir of natural gas and oil). Settlement began in the 1800s as a cattle and water stop for the Texas and Pacific Railroad. This warm, friendly town features countless family-friendly activities, including museums, water parks, sports events, and more. Odessa is also home to three major colleges: the University of Texas of the Permian Basin, Odessa College, and the American Commercial College-Odessa. 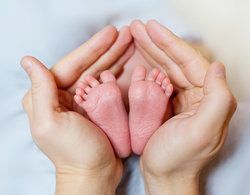 If you are ready to start a family, but are struggling with fertility issues in the Odessa area, Dr. Janelle Dorsett and her wonderful, caring staff at the Centre for Reproductive Medicine in Lubbock can help. You can begin learning more about your options by scheduling a consultation at our practice today. In Vitro Fertilization (IVF): This procedure involves fertilizing the eggs before they are transferred to the uterus. This type of procedure significantly increases the chance of conception. It is most effective for patients who are having difficulty conceiving because o issues involving endometriosis, ovulation, or problems with sperm antibodies. Egg Donation: Egg donation utilizes a woman's healthy eggs so another patient can conceive a child. The eggs are then fertilized and placed in the uterus using IVF techniques. Artificial Insemination (AI): A highly concentrated dose of sperm is delivered directly into the mother’s uterus during AI. The procedure is carried out the day after the ovary has released an egg in order to create the optimal environment for implantation and gestation. Tubal Ligation Reversal: Some women who have undergone tubal ligation surgery reconsider their decision years later. These patients may be good candidates for a tubal reversal. Infertility Testing: Infertility testing has come a long way in recent decades. Newer screening and testing methods can pinpoint the underlying causes of infertility. We start with a comprehensive exam and then recommend tests to identify and treat the root causes of your infertility. Gestational Surrogacy Services: Sometimes a woman cannot carry a child, but still wants to become a mother. In those cases, we offer gestational surrogacy services that can assist couples in becoming proud parents. These services may be provided in combination with other medical fertility services such as IVF. We understand the hopes, and fears that our patients experience. Let our professional, highly-trained, and caring staff help you during this challenging time. Our helpful, compassionate staff members are ready to assist you in making your dreams of parenthood come true. Take the first step by scheduling a consultation at our practice today.